forever, and not all providers will recover these files, and if they do often the prices are incredibly high for this service! 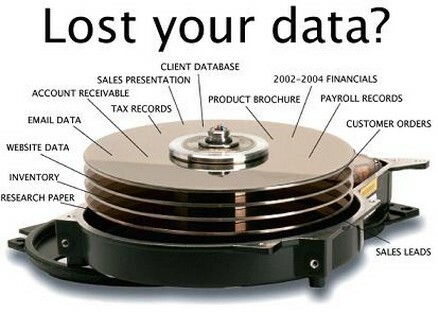 We specialize in file and data recovery, and we don't charge an arm and a leg! We have been recovering data from crashed hard drives, flash drives, and lost partitions for a decade or more, and have many techniques for recovering your data. Our Data Recovery Service Can be specific (photos, files, applications), or we can attempt to recover and entire partition so that you can have a specific file system recovered and restored, or even kick start that corrupted hard drive! There are cases when a drive is unrecoverable, or may have to be sent to a special lab environment for sterile recovery environment, but in most cases this is unnecessary, and we will inform you what your particular situation is, so that you can make the decision on how to proceed as this is a last ditch effort and if the most expensive! Data recovery is a delicate procedure, and takes longer than most other services depending on the severity of the drive damage and amount of data that needs to be restored! Send us an email, and let us know what it is you need recoved and what media it is, and we can quote you after an inspection!